It’s been a while since my last post, and to be honest I haven’t had much to say that is inspiring to either myself or for you. It didn’t help that my horse dumped me into a briar patch a couple of weeks ago and left me abandoned in the woods, or that life is just been too busy for me to feel caught up. Earlier I had mentioned that I had taken on a “pay-it-forward” project late May, and it involves me taking care of two horses that are nearby twice a day. The biggest reward for me is to see a geriatic 35 year old horse rebound from lifelessness to being fiesty and frisky. It’s only been just over four months and what a huge difference it has been. Each day my heart is warmed by him running over to the fence line when I arrive. And with so much loving care I’ve been giving, being able to go out on a birding walkabout was out of the question. For my mental health, I finally carved out a little time this week to get out and enjoy nature to restore my spirit. Earlier in the week I had to head to Harper’s Ferry to scout out for my photography class being held this weekend and I made a point to take a short hike to get myself back on the trail. 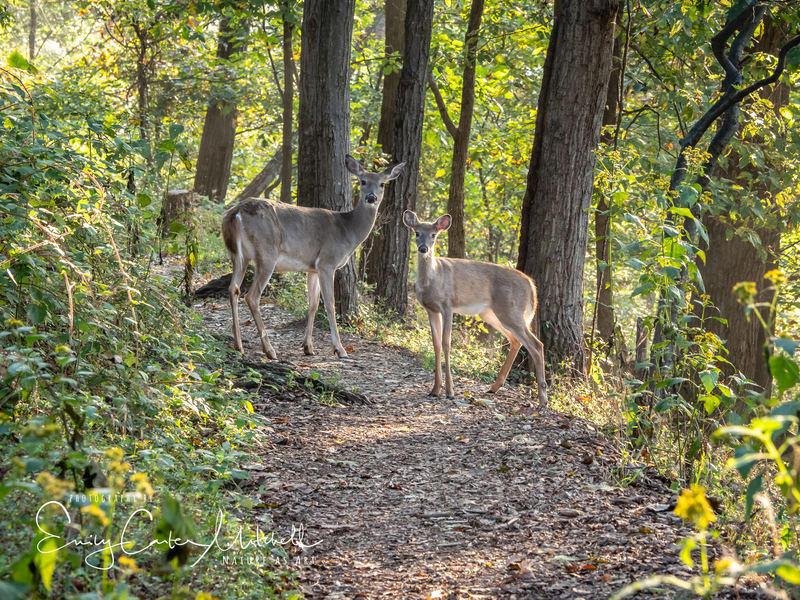 Nature rewarded me by giving me some trail companions along the way. Autumn is approaching and as of yet the fall colors have yet begun to emerge. But with the summer’s last breath the butterflies were plentiful today at a local park. 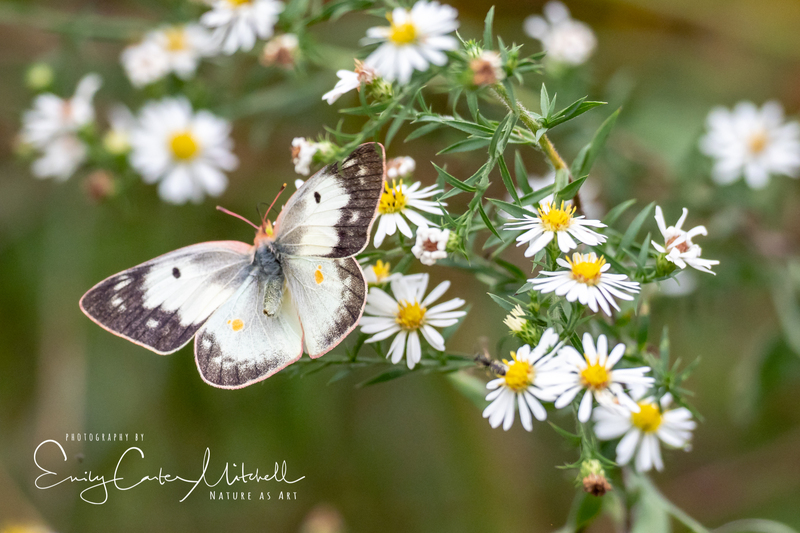 I discovered a wild Crooked Stem Aster plant that the butterflies loved. It didn’t take me long to sit down in the damp grass and let time pass me by as the butterflies fluttered from flower to flower. 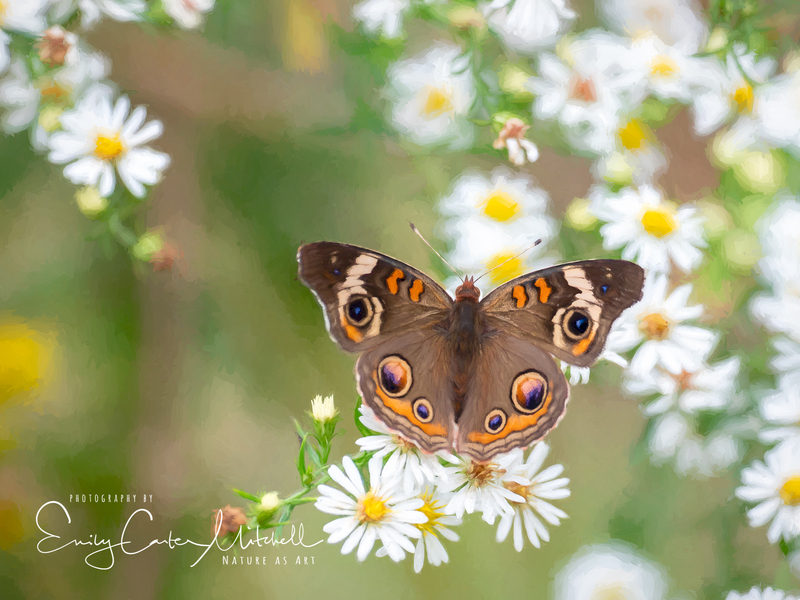 I was able to capture a few butterflies that I didn’t have in my Maryland Native Butterfly album, and on a beautiful setting as a bonus. You can see the full collection on my Flickr page. This next week I’m heading out for a very exciting adventure and I can’t wait to share my experience with you upon my return. Just trust me when I say I will be recharged and fully inspired and can’t wait to share what I learn. Hi Steve, here are my upcoming classes coming up in Nov/Dec. It was so awesome Mark. In the park the deer are safe and not hunted so they aren’t afraid of people like at other places. Lovely images, Emily. Enjoy your next adventure! I am and can hardly wait Eliza. Thank you very much.